The great work of Gibbon is indispensable to the student of history. 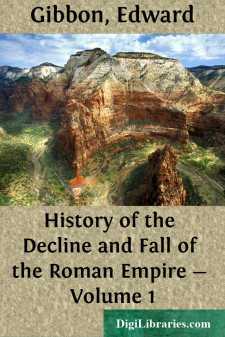 The literature of Europe offers no substitute for "The Decline and Fall of the Roman Empire." It has obtained undisputed possession, as rightful occupant, of the vast period which it comprehends. However some subjects, which it embraces, may have undergone more complete investigation, on the general view of the whole period, this history is the sole undisputed authority to which all defer, and from which few appeal to the original writers, or to more modern compilers. The inherent interest of the subject, the inexhaustible labor employed upon it; the immense condensation of matter; the luminous arrangement; the general accuracy; the style, which, however monotonous from its uniform stateliness, and sometimes wearisome from its elaborate art., is throughout vigorous, animated, often picturesque always commands attention, always conveys its meaning with emphatic energy, describes with singular breadth and fidelity, and generalizes with unrivalled felicity of expression; all these high qualifications have secured, and seem likely to secure, its permanent place in historic literature. 'Un grand destin commence, un grand destin s'achève.'"